Let us help you make this year the best possible! It's BACK TO SCHOOL time! 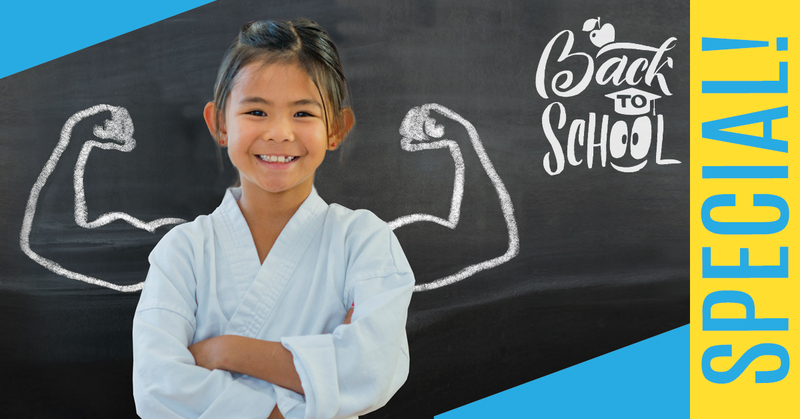 Empower your kids to have a great, fun, safe year at school with martial arts training! With our back to school special you'll get a karate uniform, two private lessons, a backpack and pencil case, AND a FREE haircut from Sportclips! This way, you'll be feeling AND looking ready for this awesome school year! Click on the picture below to sign up for this exciting offer!